Zentality C-718 is a chinese Android Tablet. It is MTK chipset based tablet. It is 3G supported with high definition display. Here we have managed to share download link for its firmware Zentality C-718 MT6572 TY0712-3G-HD-2 . 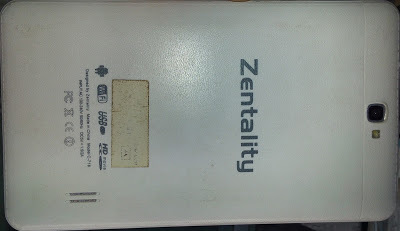 So, if you are owner of Zentality C-718 tablet and looking for firmware free download, then you have come to right place. If your Zentality C-718 is not responding correctly or firmware is outdated, then download now the firmware using link given below. Below is the download link, follow to start downloading firmware for free. We have shared 100% safe and secure link without any advertisment. Downoad file size is 328MB. This firmware can be flashed with SP Flash Tool or any other Android flashers / flashing box. 0 Comment "Zentality C-718 MT6572 TY0712-3G-HD-2 Firmware Download"